Swiftkey is a great company which made an app which makes easier to type and everything what a keyboard does. Today, they are pushing a version 6.0 of its popular keyboard its public beta channel. 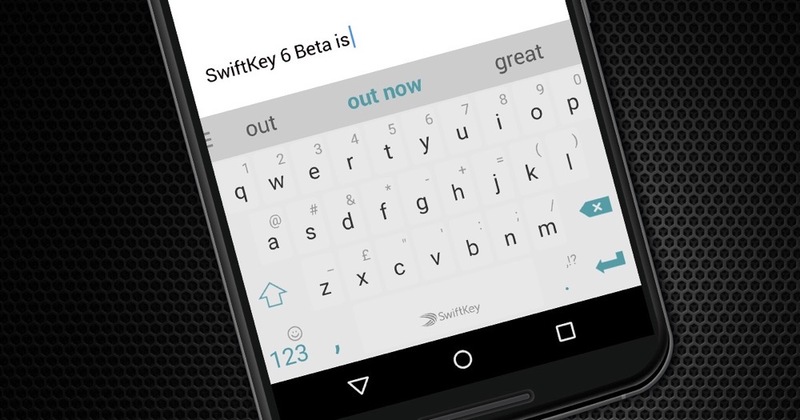 The Swiftkey calling it the “biggest launch of new features” since they made Swiftkey free to all last year. Today, Swiftkey is introducing Double-Word prediction. What it does is instead of only offering up single word predictions, Swiftkey is now attempting to “predict the next two words you’re likely to type.” If you take a look at the image at the top of this post, you can see the idea in action, where Swiftkey has typed out “Swiftkey 6 beta is…” and the keyboard is predicting “out now” as the next two words. Also, 6.0 gets a more accessible emoji panel that loads quicker. The settings menu has also been completely overhauled, plus Swiftkey is included a new theme called Carbon Light. The beta should be live now on Google Play, so grab it at the link below.